The USGS Type AA Current Meter is commonly known as the Price-Type Current Meter and has proven to be a versatile instrument with a long history of accuracy, reliability, and durability. The precisely balanced bucket wheel is mounted on a vertical pivot and is rotated by water flow. The rate of rotation is proportional to water velocity - streamflow velocities from 0.1 to 25 feet per second (0.03 to 7.6 meters per second) can be measured. 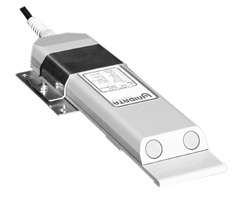 The Swoffer Model 3000 Indicator is a datalogging version of the time proven Swoffer Model 2100 Display. The 3000 allows the operator to input and store measurement data usually hand written to a clipboard while profiling streams for discharge measurement. 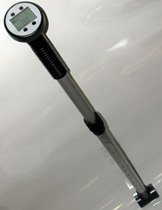 The Model 3000 can record depths, widths, velocities and angles along with time & date of measurements. You can set the sampling (or averaging) time anywhere from 1 to 999 seconds and true averages can be attained by adding any single reading to multiple successive readings. The Global Water Flow Probe is an economical yet accurate water velocity instrument for measuring flows in open channels and partially filled pipes. The water velocity probe consists of a protected water turbo prop positive displacement sensor coupled with a telescoping probe handle with digital display. The water flow meter incorporates true velocity averaging for the most accurate flow measurements. The Flow Probe is ideal for storm water runoff studies, sewer flow measurements, measuring flows in rivers and streams, and monitoring water velocity in ditches and canals.